Why would I want to join a fraternity? I can make friends fine on my own. Joining a fraternity is about much more than just making friends. While one of the biggest benefits of going Greek is that you form close, often lifelong friendships with the people you meet (who, like you, chose to go Greek, so you all have something in common that you are seeking), it also affords you many opportunities to meet people you otherwise wouldn't. There are nearly 5,000 students at the University of Hartford; all of them involved in classes, social activities and a variety of extracurricular activities, so oftentimes some freshmen are overwhelmed. Going Greek ensures you a large group of people to see and socialize with often, providing stability during a time of change for you. Moreover, the bonds you form with people in the fraternity (and other Greek organizations, such as sororities) are unique and special. You all join because of something that draws you to the Fraternity, and you will likely have more things in common than you would with the average person in your dorm or class. I'm worried about my grades if I join; how are grades at Alpha Epsilon Pi? It's a good thing you asked; we at AEPi are strong believers in the ideology that studying is a crucial part of college (sorry, but it is; without good grades, you might not be at the University very long, and then it's fun for no one, so we'd prefer to keep you around longer). We currently hold the highest Fraternity GPA. Our Brother's are in a variety of majors and we all take our academics very seriously. This means that whatever class you take, the odds are someone in the fraternity has taken it, so someone is always available to provide help, plus old books and notes. No one in AEPi feels afraid to ask anyone else for help,because everyone is very open and always willing to help each other out. 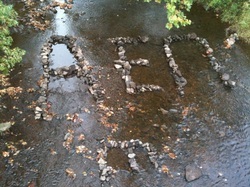 What are the dues for AEPi? Very inexpensive. In fact, we often pay you to join. Just kidding! But in all seriousness, the dues at AEPi are completely reasonable, and there are individual payment plans and payment schedules so that anyone who wants to be involved can join. We also have one of the lowest dues on campus! What if I'm unsure of rushing? Should I do it? Of course you should. What's the worst that happens? You get out and meet all these new people you never knew before and if you don't like it, you don't join, and that's that. I'm really only joining a fraternity to get girls. What kind of social events do you have? Well, it's great that you ask, because we understand that many people in college are very interested in a chance to meet people for the purposes of dating. We are very eager to help people meet other people that they would be interested in, which is why we have plenty of social events. Alpha Epsilon Pi is a nationally non-hazing fraternity, and we at the University of Hartford uphold this standard and policy. No, seriously. We mean it. Pledging may involve a commitment of time, but at no point will we ever force or even ask you to do anything that is in any way dangerous, unsettling or that we ourselves wouldn't immediately do.Nothing dangerous, nothing gross, nothing sick, nothing strenuous, but just a commitment of time to learn about the ideals, the brotherhood and the brothers of AEPi. It is simply a time to get to know the brothers and your pledge brothers, and we would never force you to do anything physically or mentally strenuous. Also, just like rushing, if you decide it's not for you, you are always free to leave, and no one will fault you -- it's your life, it's your college experience, and you should do what makes you have the best possible time. The time commitment, like most other aspects of the fraternity, is wholly up to you -- you can participate in as many (or as few) activities and events as you desire. Conversely, the amount of activity you put forth is directly proportional to the amount of enjoyment you will likely receive; the more active you are, the more fond memories you will have, the more people you are likely to meet, the more fun you are likely to have, and the more overall experiences you are able to enjoy. What else should I know about Alpha Epsilon Pi? AEPi is one of the largest fraternities in the country and one of the fastest growing at the University of Hartford (it is, we have real numbers to prove it). Joining AEPi, you get more than just a bunch of brothers, you get a family. The options of what you can do with your time here are limitless, and we seek to provide you with an even greater scope of things to choose from. You don't have to get involved in every aspect of the fraternity, but we try to provide every opportunity for you to get involved in the decisions, on-campus, and in other organizations. Most importantly, the brothers of AEPi are among the warmest and welcoming people in the world. The doors of our brothers apartments are always open (that's metaphorical, since its -47 degrees Fahrenheit in Connecticut during the winter; but obviously if you knock we will let you into the warm apartments), and the doors to every brother's room are always open as well. Do yourself a favor, come on out and meet us (during the summer, during the fall, during breaks, we don't care when), and we promise a more enjoyable and exciting college experience!